Thanks for the great review, Chris. It was a pleasure serving you as a customer. Impressive, clean, tidy storage facilities. Friendly, helpful staff. Highly recommend. Really well run facility. Very clean and well kept. Safe and secure. Tristan is great to deal with, friendly and very efficient. Would recommend Storage King Dunedin to anyone. Storage King are very professional and super friendly and helpful. Tristan and his team are awesome. I feel completely safe leaving my property in their hands and highly recommend their business if you are looking for a variety of storage options at a great price, not to mention excellent customer service!! Great boxes and the staff are ALWAYS super nice, funny, and kind. Storage King is an excellent storage facility provider in Dunedin. Super friendy staff members, easy 24/7 card access, plenty of storage size options available with a great price, located a perfect place by the harvour. Makes my life so much easier. Storage King, you guys are the BEST!! 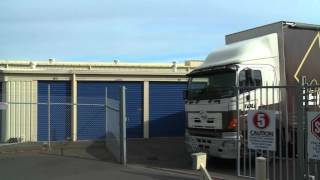 Storage King Dunedin South proudly services Dunedin, Dunedin City, South Dunedin, North Dunedin, Mount Grand, North East Valley and St Clair.